The Cover by Lilly Bartlett. So here it is: my one chance. These are the two covers we’ve chosen to make a first impression for The Truth About Love and Dogs. What do you think? They’re very different from one another, aren’t they? That’s because tastes in romcom covers in the UK are so different from preferences in the US. This entry was posted in Exclusives, Guest Post, Uncategorized and tagged Exclusive, Guest Post, Lily Bartlett, Michele Gorman, The Truth About Love And Dogs. 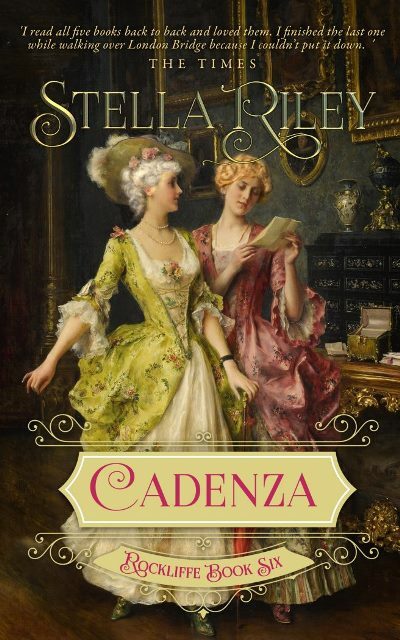 I have the great pleasure to be hosting Stella Riley’s Blog Tour for her latest novel, Cadenza. I haven’t read any of Ms Riley’s books yet, but I have heard so many great things about her work . You can read all about her new book; Cadenza below, plus there is a chance to enter our giveaway! Are you ready to meet the Rockliffes? Make sure you keep following this great blog tour as there are some great blog stops. To enter, click on the ‘Cadenza’ link below to be taken to the gleam form. This entry was posted in Blog Tour, Exclusives, Uncategorized and tagged Blog Tour, Cadenza, Giveaway, Guest Post, Historic Fiction, Rockcliffe Series, Stella Riley. Tabetha grew up in a small town in Missouri with big dreams of being a published author after her fourth grade teacher said she liked reading her stories. She began her journey by putting pen to paper writing anything from fantasy to mystery, but it wasn’t until she started high school that her grandmother introduced her to the classic, Gothic novels. As her love of romance grew to encompass Harlequins, it wasn’t until she read “Midnight Bride” by Kathleen Drymon did she develop a fascination for historical England. After discovering Jane Austen and the Bronte sisters, she was hooked! It wasn’t until 30 years and 63 rejections later that her debut novel, “Why the Earl is After the Girl,” the first book in her Ways of Love series was picked up for publication in July 2016 to critical acclaim, winning the 2017 Best Indie Book Award in Romance. Her second book, “Where the Viscount Met His Match,” released on ebook in June 2017. When she’s not writing, Tabetha is reading as true bookworms do, checking out any flea market, antique mall, or doll show she comes across, and working as a lunch lady at the local community college. She is a certified PAN member of the RWA, a founding member of the romance novel film company, Passionflix, and a proud supporter of The Ripped Bodice, an all romance bookstore in CA! You can find her on most any social media site and she encourages any fans of her work to join her mailing list to learn more about upcoming novels or events. Frankie Hi Tabetha, Welcome to Chicks, Rogues and Scandals! Thank you for taking the time to chat with me today….Firstly what five word’s would you use to describe yourself? Tabetha Definitely Regency England! Since that is my preferred genre there is soooo much I could learn by traveling back in time! I would take so many notes. Tabetha I currently have two books to my credit with my latest release coming out this month! It is the third book in my Ways of Love Series called, “When a Duke Pursues a Lady.” The tagline reads – “An innocent woman. A loyal agent to the Crown. A path of deception that tests the bonds of love.” In all my books I like to push the boundaries a bit with adventure, passion and some unsuspecting twists and turns. That’s the beauty of fiction! Frankie Ooh, that sounds really good, Who was your childhood hero? Tabetha Since I wasn’t introduced to some of my favourite writers until I was a young adult, I would have to say that my childhood hero was probably Beatrix Potter. I loved the Peter Rabbit stories. Not only was she a great author, but she was a talented artist! Frankie How fabulous, she as an incredible lay, if you could have one of your books made into a film, which book would it be and who would play your lead character’s? Tabetha In all honesty, I don’t really have any certain actor/actress in mind for my books when I start out. They develop along the way in regards to characteristics and personality. Even then, it may not be someone very famous that I find who suits the image in my mind. For now I’m just trying to focus on trying to become a bestseller. However, I did win the BIBA for romance in 2017 for my debut novel, as well as made a respected bloggers Top 20 list of 2017, so that was certainly something to celebrate! Frankie Congratulations! Out of all your work, who is your favourite character and why? Tabetha I love all my characters. After spending so much time with them on my laptop, they become special, if not stubborn at times! I did like Big B. 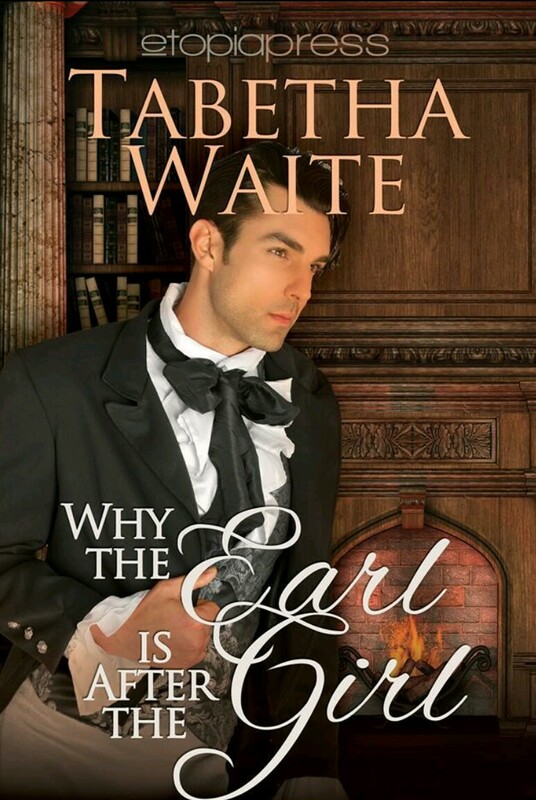 He was a side character introduced in Book one, “Why the Earl is After the Girl” and has been mentioned in Books two and three. He was also my teenager daughter’s favourite. Tabetha Inspiration could strike me for no reason and at no particular time. But for my debut novel, I was inspired by a computer crash! I had several unfinished M/S that I had started and intended to return to that were effectively wiped clean. Unfortunately, I didn’t have a backup, so I had to start from scratch. It was disheartening to know that so much time and effort had been put into these stories and they were just – gone. In spite of this, I got to thinking, how would a heroine feel to know she’s lost everything? Thus, Athena Hawthorne was born. Frankie Oh, no! Thanks is the worst, What three tip’s would you pass on to an aspiring author? Tabetha 1) DON’T GIVE UP! It took me 30 years of holding up a dream and 63 rejections before I was published. I’ll always be grateful to Etopia Press for giving a “newbie” a chance. 2) DON’T TAKE CRITICISM TO HEART! The advice you get along your writing journey is a tool meant to help you grow as an author. Sure, not every book is someone’s ‘cup of tea,’ but just remember why you started writing in the first place. It was for the love of it. Don’t let someone steal that joy. Continue to plug on, even if you don’t always feel like it. 3) PUBLISHING IS ONLY THE FIRST STEP! Just because you FINALLY got your foot in the door, whether it is with one of the Big 5 publishing houses, a smaller press, or self-published, that is only the beginning. It takes time and dedication to pursue a career in writing. It’s not a get-rich-quick scheme. In fact, people write for years and barely get any recognition. It’s a tough market and competition is fierce! The point is not to get discouraged. There are billions of people on this planet and books enough for everyone. Personally, I have a huge TBR pile and it continues to grow. Does that mean I’ll stop buying books? Of course not! Reading is a form of entertainment just the same as music, movies, or theatre. People are always on the lookout for new authors to add to their list of long-time favorites. Keep that chin up! Tabetha Jane Austen! I would love to hear what advice she could give. Queen Victoria. I love any monarch, but she really seemed like an interesting lady! Ludwig van Beethoven. I bet his Moonlight Sonata would be haunting live! Frankie Thank you, Tabetha for taking the time out of your busy schedule to chat with me today, I have just one more cheeky question, just for fun . . . What is your all-time favourite naughty but nice food? Tabetha That would have to be cookie dough and ice cream! Put together, it’s my downfall! Mmmm! That sounds so good, Thank you! 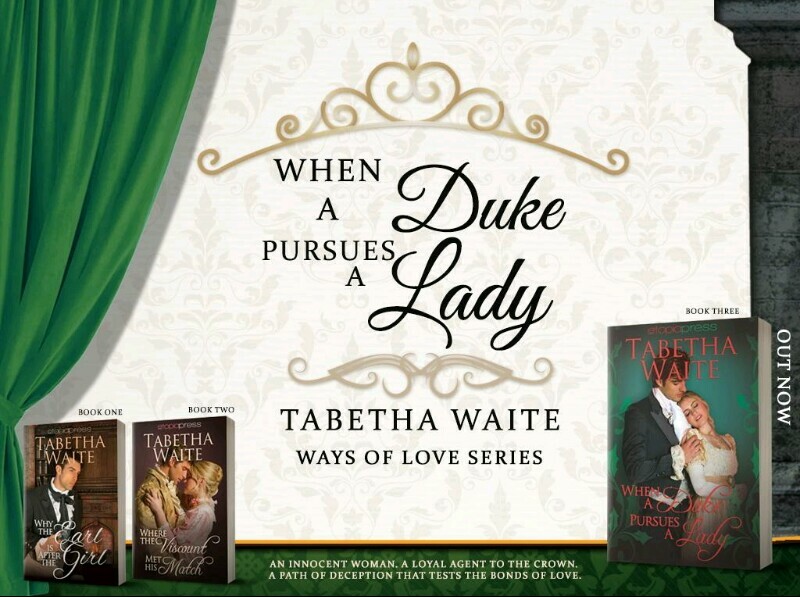 Tabetha’s latest book When a Duke Pursues a Lady is out now and can be found at Amazon. When a Duke Pursues a Lady can be purchased at Amazon. This entry was posted in Exclusives, Interviews, Uncategorized and tagged A Chat With. . 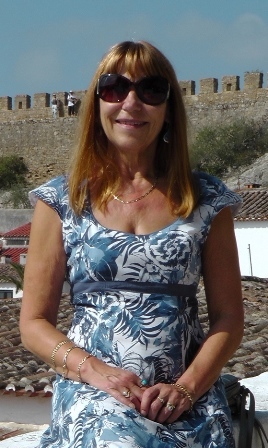 ., Author Interview, Exclusive, Tabetha Waite. Senara agrees to work as a lady’s maid at Castle of Park to help ease the financial burden of her beloved family. She does not expect to have such a wicked mistress any more than she expects to find a handsome laird… or a ghost with a burning need for retribution. Gavin vowed on his father’s death bed to watch over his aunt, and regrets it every day. Especially when her new maid arrives. The woman is extraordinarily fascinating which stirs his cruel aunt’s ire. Can he protect the woman from his aunt? Even more important, can he keep himself from giving into his longing for the country lass? 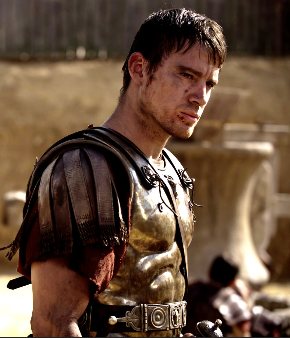 Theirs is a journey of treacherous pasts, painful loss, hidden longing and vengeance. This is the first book I have read by Ms Martin, and I have been interested in her work for a while now and I can absolutely say that this will not be the last I will read by her. Her writing is faultless, it’s new and fresh, intelligently written and above all as romantic as you can get. I love the plot of this it’s so different and hugely enjoyable to read. The story opens with Senara – isn’t that a lovely name? on the road travelling to her new job as a maid in the household of the Laird of Castle of the Park, after some unfortunate events her family aren’t in a position where Senara can keep living with them even though like any parent her’s would never admit to it, but they are struggling financially. So, Senara chose to take on a position as maid she wants to earn enough money to purchase a Knighthood for her brother; Geordie. While making her way there she is attacked by bandit’s who are trying to steal her beloved horse; Norbert. Well Senara is a plucky little thing she is more than ready with her own sword and dirk to look after herself, and she does even after a scorchingly handsome man turns up. What she doesn’t realise is that the devilishly attractive man she had met on the road is in fact her new employer. Grant McDuff needs to marry, he needs to produce an heir otherwise his estates and title would revert to the King of England, which for a Scottish Laird is the worst thing that could ever happen. He knows that the best marriage he could have is with the daughter of the other Laird in the area, the McDuff’s and the MacKintosh’s have been at logger heads for so many years and sooner or later it will become all-out war between the two clans, so a marriage agreement would bring the peace. But Grant having been refused on numerous occasions to ask for MacKintosh’s daughter, he is very reluctant to put his self on the line again especially after meeting fiery Senara. As soon as Senara gets into the castle she knows that there is something about the place that unsettles her, it’s like there is a darkness hanging over the entire castle a big cloud that is threatening rain and the only light that come through the glum and darkness of the castle is the laird himself – who she is entirely too taken with. Then on her very first night she comes face to face with the very thing that had unsettled her so much. She finds out a secret that could not only destroy her life but that of Grant’s too, but due to a twist of fate this secret has no intention’s of staying quiet and makes sure that he makes his presence very well known. Senara is a romantic through and through she has her heart and mind set on only ever marrying for love, she has seen too many arranged marriages which are full of unhappiness and she doesn’t want that. She want’s a man who will respect her and treat her like an equal, which living during the 1600’s that is a big thing to ask for. I do like Senara she has such a kind heart and firm, intelligent head on her shoulders. What I particularly like about Senara is how she treats people, whether they are stable boys or the Laird himself she is kindness incarnate and this is probably why the mysterious Balthazar is taken with her and shows himself only to her – you need to read it to find out who Balthazar is, let me just say that their mutual respect is a real twist in the tale. He pressed his mouth to the chill of hers. Her lips parted and the tip of her tongue grazed his. His body went hot with a fire of lust and he returned her kiss with a passion, which left them both trembling with need. The chemistry between Grant and Senara is pure and honest, there is a real sizzle in the air whenever they are in the same scene, Grant is a fabulous character, he has a heart of pure gold, he is a genuinely good man he treats his staff with absolute respect and the way he immediately trusts and believes Senara is very sweet. Ms Martin has written their first tentative step’s and then their full-blown passion beautifully, it is endearing and atmospheric and just such a great read. The presence of Balthazar is haunting and yet gives this story an intriguing twist and catches your attention as to what happened to him and why is it that Senara seems to be the one that he reaches out to? 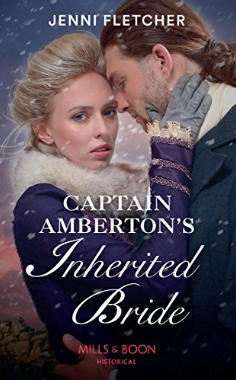 I absolutely love this twist, it is so different to what you usually expect from an Historical Romance. I did hugely enjoy A Ghostly Tale of Forbidden Love is such a great story at love at first sight, and I will definitely be reading more from Ms Martin, I found her work to be fresh, fun and highly recommended. A Ghostly Tale of Forbidden Love can be purchased from Amazon. 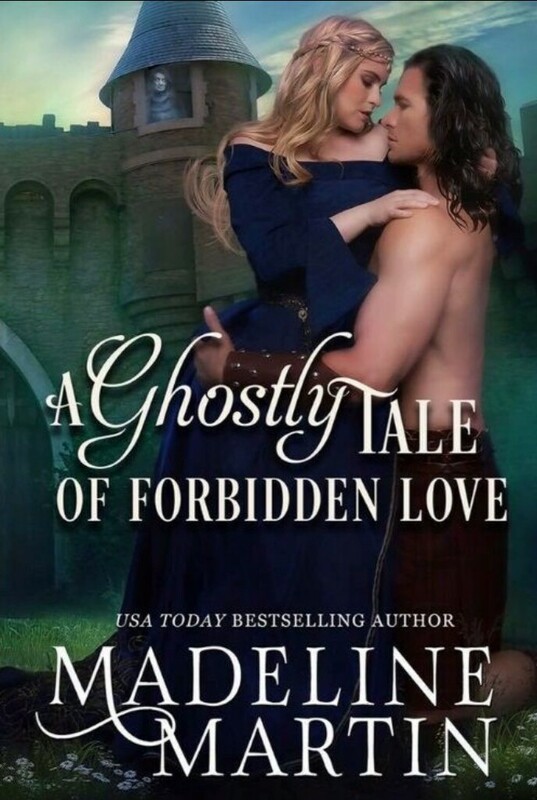 This entry was posted in Complimentary copy, Historical Romance, Reviews, Uncategorized and tagged Complimentary copy, Highlander Romance, Historical Romance, Madeline Martin, Review.